Kelly's Korner: Details on Singles Day!!! It's This Friday!! Details on Singles Day!!! It's This Friday!! 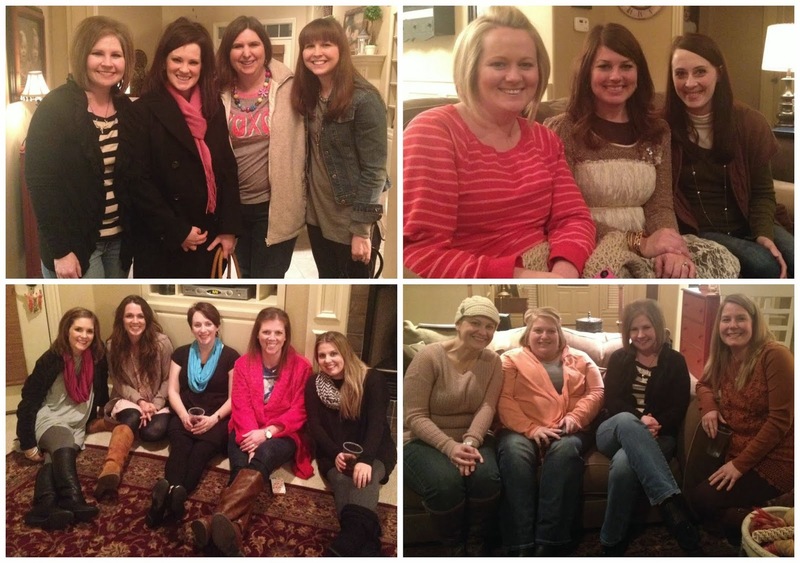 Last night a bunch of girls from our Sunday School class got together for a girls night at Laurie's house. We used to get together all the time for girls nights and play groups and as our kids have grown and we have all gotten busier - it seems to have really fallen to the side. AND we have a ton of new couples in our church and Laurie and I are on a mission to help them feel welcome and get to know other people in the church so we thought it would be fun to just eat and visit. And it was SO much fun. I love being with my friends. I need to get the other four to write out their stories so you can read those as well!!! So "tell your friends, tell you momma, tell your brother, tell all the single people you know (ESPECIALLY MEN - we need MEN for this to work!)" - to come and check this out on Friday. 4. This is also important - I have absolutely NO control over how many guys vs girls there are or what ages people are. I get emails complaining about ages or whatever and y'all - I have NO control!!!! I'm just praying for the best and that something amazing comes out of it. 7. Questions? Leave a comment or email me (kellyskornerblog@gmail.com). I"m the worst person in the world at email but I will try to help.